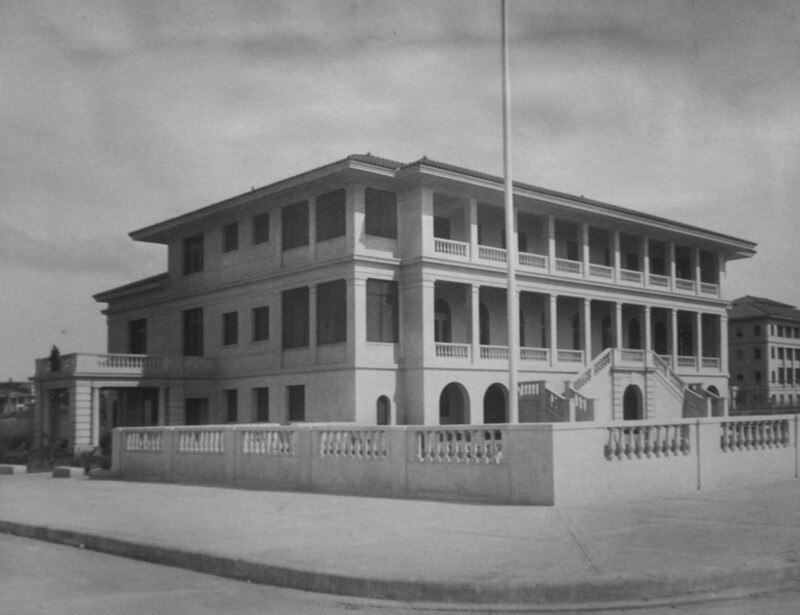 Britain retained a consulate in Panama from about 1830. In 1879, a young man of 19, Claude Mallet, joined its staff and remained, with occasional short transfers in the region and with a Panamanian wife, for the next forty years. He was consul from 1903, when Panama became independent, was given local rank as minister in 1907, and became full minister to the republics of Panama and Costa Rica in 1914, the year in which the Panama Canal opened. He left Panama in 1919 upon appointment as minister to Uruguay. His successor, Percy Bennett, was dismayed to find that the consulate was housed in the private property of Sir Claude (as he had been since 1911): he objected that the rent was too steep, the house was structurally unsuitable, and he could not tolerate its being in the noisiest and hottest part of the town. Bennett therefore rented the ground floor only for offices and moved elsewhere to live. Whereupon Sir Claude decided to sell the house. Bennett proposed two courses to London: to buy a new house being offered by a Mr Carlos Diez for $52,000 or to accept the offer by the Panamanian government of a site at a peppercorn rent in the Exhibition Grounds, El Hatillo, on which to build a legation. The Office of Works turned down the Diez house and thought the offered site too small, while maintaining that building anew should be avoided if possible. Bennett put the Office of Works in touch with Meade Bolton, an American architect working for the Panama Canal, who gave much sound advice. 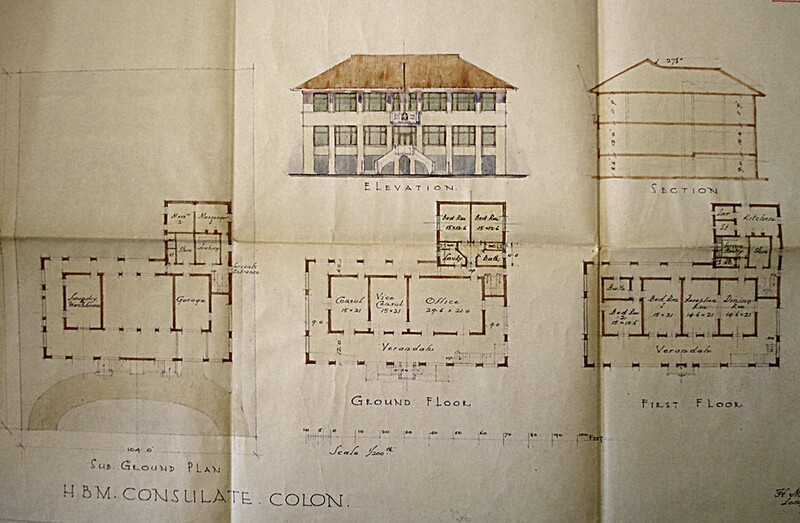 The Office of Works sent sketch plans for comment to Bennett in October 1920, just before Bennett was able to report that he had now been offered a bigger and better site, about 60 metres square, in what he thought was incomparably the best position in the city and right on the Gulf of Panama waterfront. The only problem was that about a third of the site was privately owned and would need to be bought for $12,000 while the rest was on offer at nominal rent. The Panamanian government helpfully agreed to buy out the private landlord and lease the whole site to the Office of Works, but the lease would stipulate that the building should be completed within five years. The Treasury agreed in early 1921 that the site should be acquired but they did not approve going ahead with building for the time being, although they were happy for Bolton to be commissioned for design development work. The 99-year renewable lease was signed in March 1921 on the 3,300sqm site and ratified by the Panamanian government in February 1923. Bennett and Richard Allison, the principal architect at the Office of Works, had just about reached agreement on all the details when two new considerations arose. The Treasury asked whether the building should not also contain the offices: it was decided to leave that question for Cecil Simpson, an architect from London who was soon to undertake an extensive South American tour. And Bennett was succeeded by Major Braithwaite Wallis, who suspended all work on the plans, which he did not like, until the Office of Works refused to countenance any changes. Allison submitted the presentation perspective drawing to his director of works in August 1924 and approval was given to proceed. London sent WA Scott to Panama as resident engineer and clerk of works. Grebien and Martinez won the foundation contract and then, in early 1925, the superstructure contract. 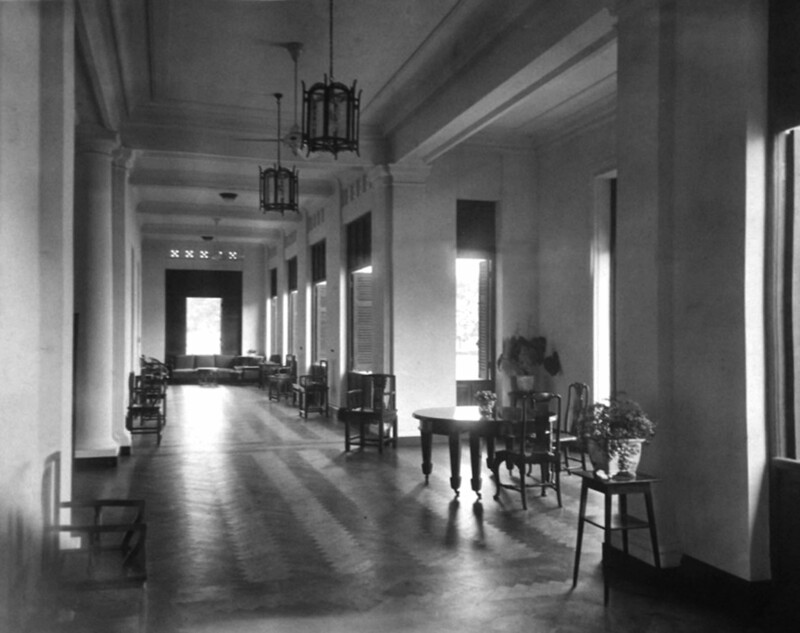 The building was handed over in September 1926 but not occupied until March 1927. It had cost about £33,000. The garden had not been properly planned and Exchequer and Audit Department queried the provision of the tennis court, but the building met the requirements rather well. It suffered no damage at all in a large earthquake in 1930. In the late 1940s, a proposal to move the offices into the residence and build a new residence came to nothing and new offices were instead taken on the fifth floor of Edificio Caja de Ahorras, on the corner of Central Avenue and I Street. By the 1970s, re-housing was again on the agenda but the lease and the location both remained favourable and it was resolved to keep the residence, and in good condition. The offices at that time were at 120 Via Espana. 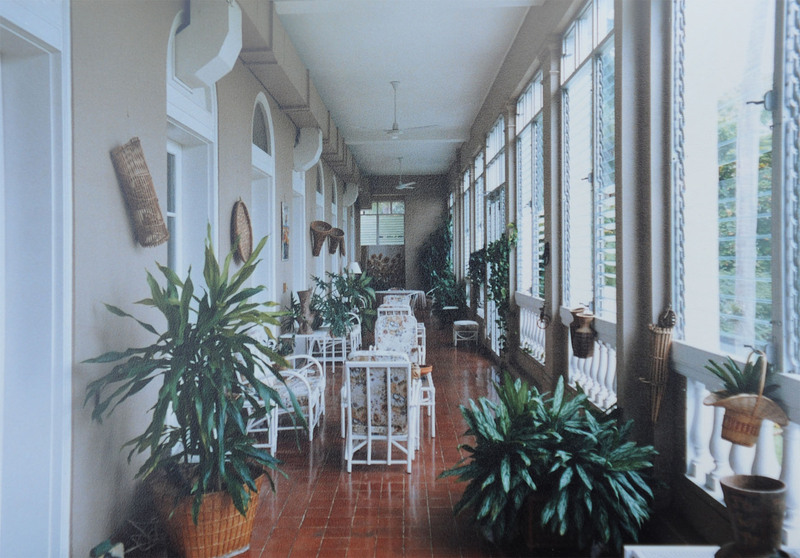 In the 1980s, exercises were done to fit the offices into the lower floors and use the top floor as the residence but they would not quite fit. Colon is the port at the northern, Caribbean, end of the Panama canal. 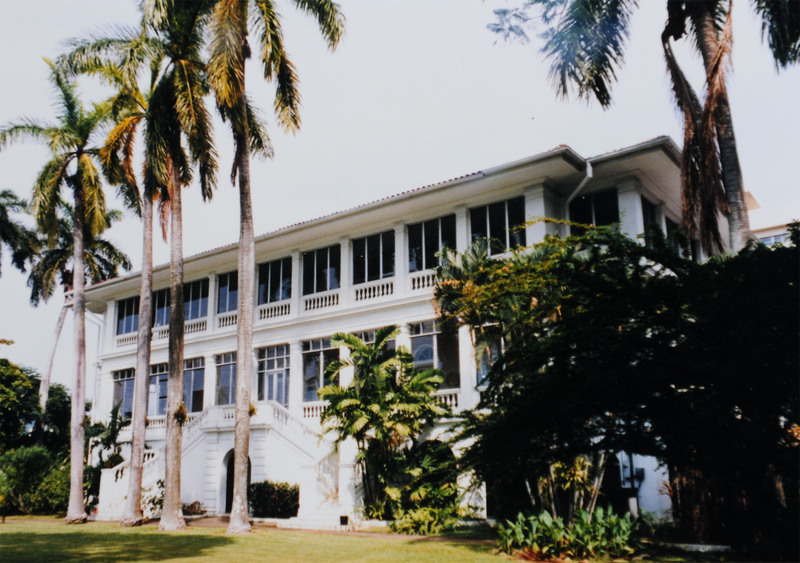 In 1929, the Canal Zone authorities served notice that at the end of 1930 they would require the site of the building that for several decades had served as the consulate, on a lease that had been originally granted by the Count de Lesseps. The authorities were not prepared to build a new consulate on repayment terms but offered an alternative site, known as the Stiltson site: Lots 176 and 177 at the corner of 2nd and Bolivar Streets, overlooking the gardens of the Washington Hotel and about 200 yards from the seafront. This site was therefore leased for a 35-year term in April 1931, and the building was required by the lease to be completed within two years. The Office of Works did not like the plans devised by the acting consul in consultation with local architects, Buckley, Arango and Lyons. The tenders received in August of that year were on the high side but the Treasury reluctantly agreed to proceed for about £12,000. The following month, the consul reported that new premises elsewhere could be found by the end of the year. The building scheme was therefore put on indefinite hold and its completion deadline re-negotiated to mid-1934. The vice-consulate closed during the 1960s and the house was let to the pro-consul, J du S Blennerhassett, until a purchaser was found in 1971. Residence, as completed 1926. Porte cochere on the left. East frontage, overlooking the sea, 1970s. 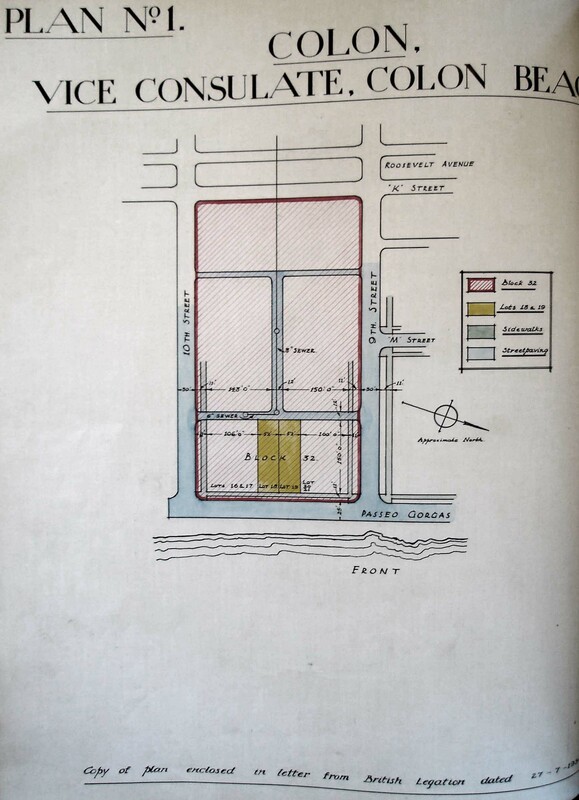 Site (in yellow) for Colon vice-consulate, 1934. 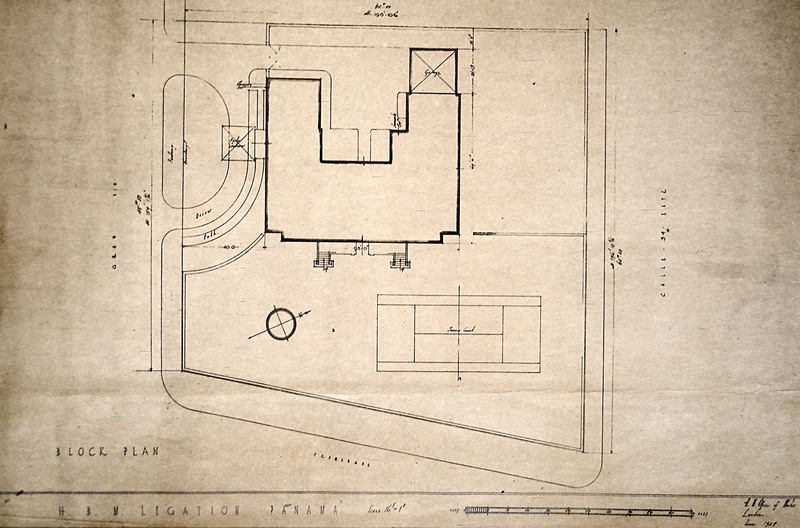 Sketch plan for vice-consulate by Howard Jones, 1934, with offices on the principal floor and residence above.